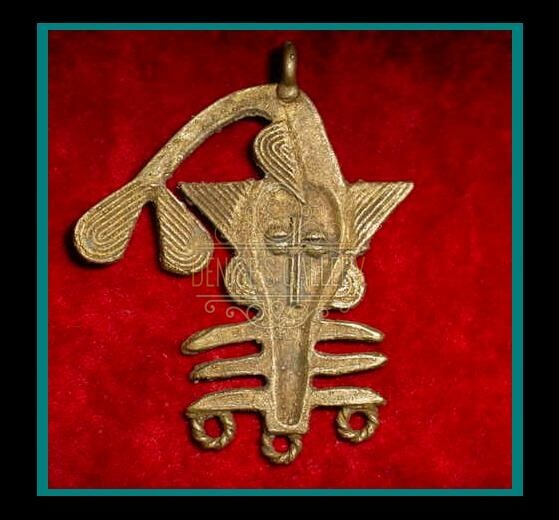 AFRICAN BRASS “SAWFISH” GOLDWEIGHT PENDANT. 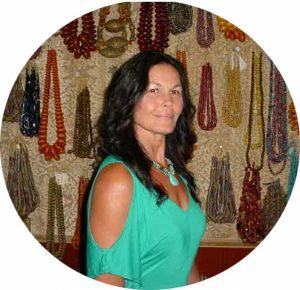 African Brass Pendants are skillfully & artfully Handcrafted by Baule artisans in Ghana, Africa. Goldweights were once used by the Akan people of West Africa as a measuring system to weigh gold dust when gold was a form of currency. 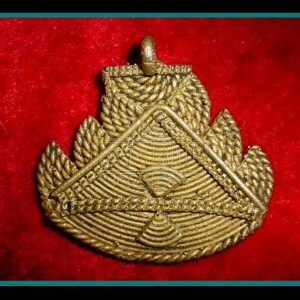 Handcrafted Goldweight Brass Pendants are handmade using the lost wax process. Each is intricately detailed and no two are exactly alike. They are designed to represent miniature people, plants and animals. Expect subtle imperfections in shape, symmetry & size. As Natural oxidation occurs the Brass will darken. 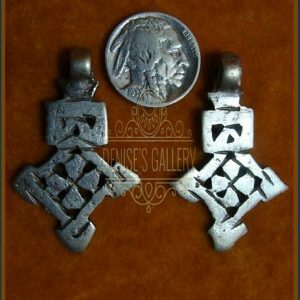 This is a quality that adds Unique Character to Ethnic Jewelry Designs. 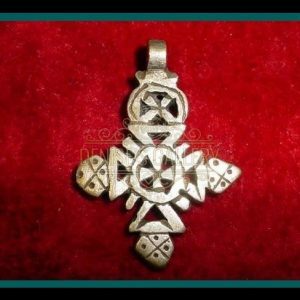 This Pendant measures approximately 2 – 7/8 inches long x 2 – 1/4 inches in width. Length includes attachment loop, which measures approximately 5 x 6 mm inside diameter. Additional loops at bottom for further embellishment.